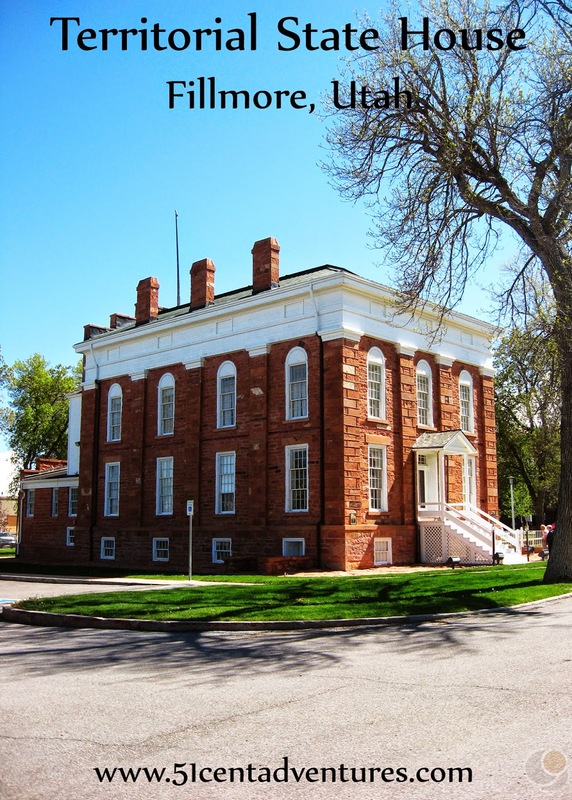 For a brief time Fillmore, Utah was the capital city of the territory of Utah. Plans were drawn up for a large capitol building with four wings and a dome. However, only the south wing was completed before the legislature moved the capitol city back up to Salt Lake. Today the building is a museum housing artifacts from the early days of Utah's history. Location: 50 West Capitol Ave Fillmore, Utah. Fillmore is located along Interstate 15 about two and a half hours south of Salt Lake City. Cost: $2 per person. There is a family rate of $6 for up to 8 people. Operating Seasons and Hours: Tours are available 9:00 am to 5:00 pm Monday through Saturday except Thanksgiving, Christmas, and New Year's Day. The grounds of the Statehouse are always accessible. Recommendation: A good place to stop and stretch your legs. The Territorial Statehouse was the first stop on the Southern Utah Road Trip that my husband and I went on to celebrate our third wedding anniversary. The Statehouse wasn't exactly on our bucket list of must-see places, but it was roughly halfway between our home in Logan, Utah and the day's destination in Zion National Park. The city of Fillmore fell below the imaginary line that marked our crossing into Southern Utah. Our goal was to see as many State and National Parks in Southern Utah as possible so stopping at the Statehouse made the list of things we wanted to do on our trip. We left our home in Logan early in the morning, and drove the 3 or so hours to Fillmore. We arrived at the Statehouse before it opened at 9:00. We ate a quick breakfast in the car, and probably even tried to get a little sleep. At 9:00 we went into the Statehouse and bought our State Park pass for $75. Buying that pass was another reason we wanted to stop at the Statehouse. Then we requested a tour. Inside the building there were artifacts from the 1800's. They were interesting to look at, but there wasn't anything I feel is worth mentioning. My favorite part of the building was the second floor which is a large meeting room with a wooden floor. My inner party planner envisioned all the interesting events that could be held in that room - weddings, formal dinners, etc. Pricing information for events is found under the Resources and Facilities tab on the official website. I was also interested to learn that the Statehouse provides a pioneer themed Youth Conference activity called the Building Zion Youth Camp. I worked for a Youth Conference program at Snow College in Ephraim, Utah so Youth Conference always has a special place in my heart. This would be good place to take teenages for a simple Youth Conference that is a little bit different than normal. Here's the website for more information about that. The Territorial Statehouse is actually only a portion of the capitol building that was planned for the site. The plans called for four wings connected by a large dome. However, in 1856 those plans were abandoned, along with the plan to have Fillmore be the capital of the territory. Only the south wing of the building was completed. 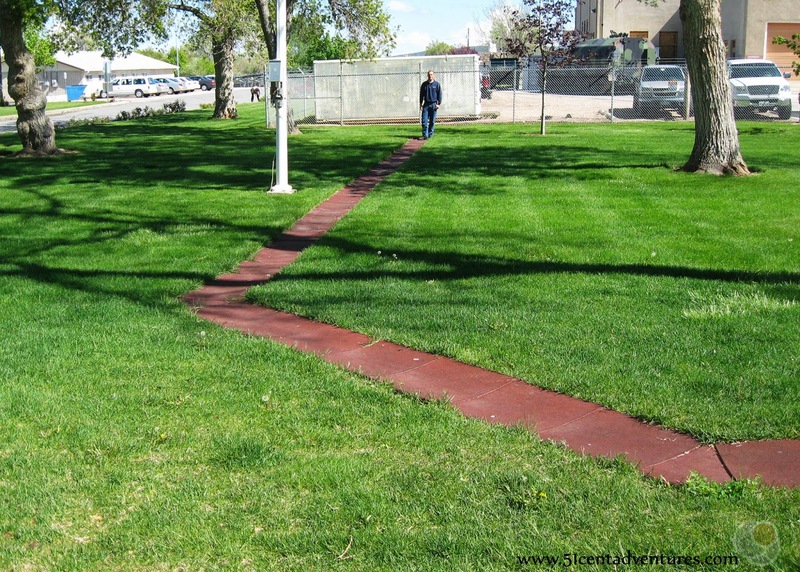 There are pavers in the grass on the grounds of the Statehouse that show where the other wings would have been. Overall the Statehouse was one of those places that I was happy to visit, but I also would have been just fine if I never saw it. It was a good place to stop and move around before continuing on our drive. The statehouse is located on the east side of I-15. UT-99 branches off from I-15 at the north end of the city limits and then rejoins I-15 at the southern end. So whether you are traveling north or south you will want to get onto UT-99. UT-99 is also the town's Main Street. Stay on Main Street until you reach Capitol Avenue. It's a little road that branches off of main street. Turn onto Capitol Avenue. The parking lot for the Statehouse is only a few yards down the road. Places nearby: Okay, this isn't really a "nearby" place. It probably should be considered more of an alternate route. If I was planning this trip again I wouldn't go directly to Zion National Park via I-15. Instead I would travel from Logan to a place called Great Basin National Park in Baker, Nevada. This National Park is on the Utah-Nevada border. I would love to visit Lehman Cave. I haven't been there yet, but it is somewhere I would like to visit someday. I have always wanted to go to Lehman Caves!